Though much is made of buying a home — the thrill of the hunt, the stress of the negotiations — there is just as much to handle when you’re the seller. After all, the longer your place sits vacant, the longer you are stuck paying for it (plus whatever new mortgage you have taken on). Though some missteps are inevitable in the selling process, many others are fairly easy to sidestep — if you know how. From finding the right agent to surviving open houses, we asked sellers to share the highs and lows of their experience. Here are 13 things they wish they knew when their home went on the market. Don’t hire your friend as your agent. The selling process can be a long, arduous one, and you should feel empowered to speak up without worrying about putting your relationship on the line. Alison Borchgrevink found that out the hard way when she decided to put her Washington, D.C. apartment on the market. She hired a friend of a friend, a junior agent whose inexperience may have contributed to the unit languishing as long as it did. Go beyond word of mouth. Referrals are handy, yes, but they’re not the only way to come up with a short list of potential realtors. Check out brokerage websites and read up on their agents (many provide biographies). See if anyone stands out to you, then give them a call, advises Kelley Vick, a licensed associate real estate broker with The Corcoran Group. The time frame can also help your Realtor as well. “A good agent will invest a lot of time and their own money into marketing your property, and you want to give them sufficient time to see their marketing plan through,” says Vick. Study up on comps. Your agent will study up on the comparable sales, or “comps,” in your area, but you should do your own research, too. Knowing what other homes are going for in your neighborhood will give you an idea of a fair asking price for your own. Sites like Trulia and Zillow are great places to start, or you can ask an agent to print out MLS listings for you. Make sure you and your agent agree on what your home is worth and how it should be marketed. You and your agent should agree on the listing price, so if the number she suggests doesn’t match the one in your head, don’t be shy about asking for her reasoning. Just as important, of course, is how your home will be promoted. Find out whether professional photos will be taken, where ads will be placed and whether your agent will hold open houses and entice other agents to bring their buyers, says Vick. “Asking these questions will not only give you an idea of the resources available to an agent, it will give you insight into how they work and their level of excitement about your property,” she says. Avoid the urge to list high. Sure, you want to get as much as you can for your home, but try to look at your home objectively — warts and all — and list accordingly. If the price is too high at the outset, the house could sit on the market and start to look “stale,” Vick explains. “Perspective buyers notice it’s been on the market for a while without selling, assume there must be something wrong with it and cross it off the list,” she explains. Meanwhile, pricing just at — or slightly below — market value can help generate much-needed buzz in the first couple of weeks after listing, when sellers usually see the most activity. The right number can also mean your home moves faster. 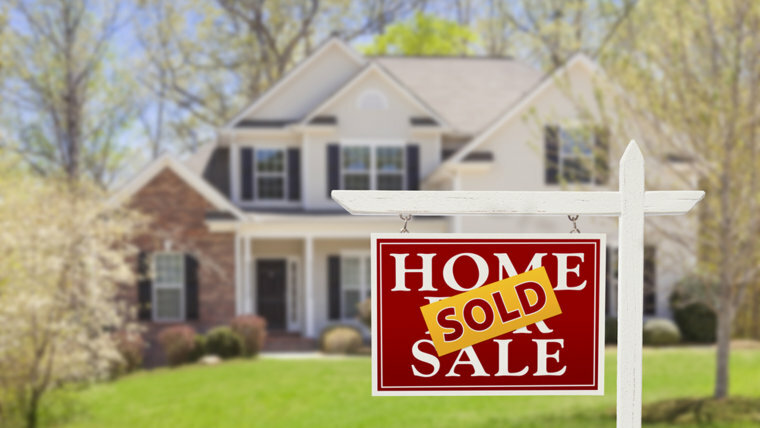 Vick points out that in general, statistics show that if a home is properly priced, a seller should receive an offer within the first 12 showings. Build in time to spruce up your house. Before you plan on putting the house on the market, take a tour and try to see it through a buyer’s eyes. Then give yourself a month to paint over any boldly colored walls, do a deep clean of the whole place, remove personal affects and make any small upgrades that will boost curb appeal or price. Depending on how much stuff you have, you may want to consider removing much of it for open houses and showings. A clean, organized space is a welcome sight for buyers, since it gives them a chance to envision themselves in your home. There will be unexpected costs. It costs money to sell a house, so prepare to spend on everything from pre-inspection reports to staging costs to minor renovations. In fact, you may find yourself weighing the pros and cons of taking on larger projects that could boost your asking price. Then there are the closing costs: Besides the agent’s typical six-percent cut, you have to account for transfer taxes, attorney fees, bank fees (if you have a mortgage) and any capital gains tax, if applicable, when selling. “A seller’s true ‘break-even point’ is not simply what they originally paid for the home, but the price of the home plus any improvements made and closing costs on the sale,” Vick explains. Her advice? Make a list of all closing costs early on so you know what to expect. Your agent should be able to help. You’ll have to keep your house clean — all the time. Besides the planned open houses, there are (hopefully) frequent calls from agents who want to show your home to their buyers on very short notice. And every time, your place has to be looking its best, which means until you sell, you will be responsible for keeping it spotless 24/7. Pets may add a wrinkle to the process. If you have a four four-legged friend, you will have to take extra precautions so it doesn’t escape during open houses or showings. That means telling every agent who calls that you have a pet and that it’s not allowed outside the home or yard — a warning that can get old after a while. (Foster ended up bringing her dog to her mother’s home every day.) You’ll also have to be on top of cleaning up after said pet. “I had two indoor cats, and I couldn’t let the litter box go for a single day,” Pender says. Expect a lot of looky-loos. Open houses bring out potential buyers, yes, but also plenty of curious people who aren’t even shopping for a new home. It’s easy to get excited about a guest book full of names, but keep in mind that not everyone on the list is serious. Buyers can be nitpicky. Even though your home has been good enough for you all these years, buyers may think otherwise — and they may not be shy about letting you know. Selling a house takes a while. Yes, you’d like to unload your home quickly, but settle in. Most of the time, the selling process is slow. It can take a while before offers come in and even longer before negotiations are finalized. And then there’s closing. If the buyer is getting a mortgage, Vick explains, it could take them up to 45 days after contracts are signed to secure a mortgage commitment from the bank. And that timeline is much longer if your home is a short sale, like Pender’s was.